Keeping all the quality parameters of company in mind, we are offering a wide range of Round Calendar. Our offered product is trendy and available in various colors. 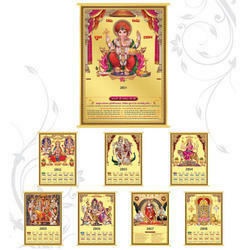 Customers can avail various sizes and dimensions of Round Calendar from our company as per their needs. We offer a wide range of calender that can be hung on the wall or can be kept on the table. Alluring patterns, designs, and quality printed paper make these calenders attractive as well as functional.The calendar has circular dates which can be changed easily and if required watch can also be fitted along with these calendars. We are counted amongst the top notch industries engaged in offering a wide range of Pictorial Wall Calendars to our esteemed clients. 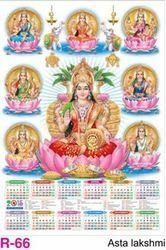 These calenders are demanded in a number of schools, colleges and other applicable areas and are fabricated using supreme quality raw material in compliance with international quality standards. This set of monthly calendar is 12 sheet calendar of size 20 x 29 of Map Litho paper and matter to be printed with 1 colour. Minimum order quantity is 125 sets. With years of expertise in this field we are sincerely involved in offering Monthly Printable Calendar. We design this in various patterns and colours. Being one of the renowned firms in the industry, we are decidedly involved in providing a high-quality array of Paper Wall Calendar. Due to our honest business standards and transparent deals, we are steadily making our way to the platform of success by offering Printed Wall Calendar.